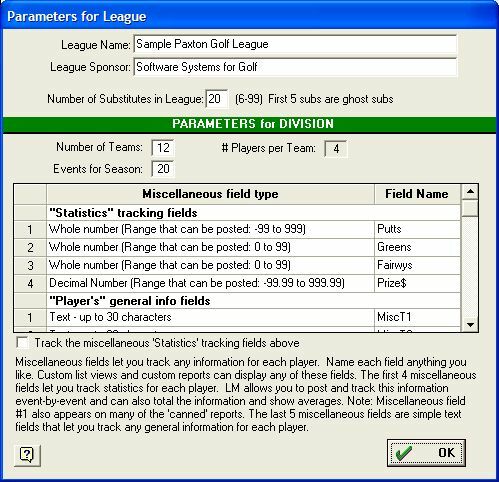 Pull down the Setup menu and select “League Parameters”. Type the name of the league and sponsor in the appropriate box. Note: The league name appears on the first line of each page report. The league sponsor appears on the second line of page reports.